Despite the economic crisis in Spain, freelancers and entrepreneurs are breaking out to work on their own projects. A number of outstanding coworking spaces have emerged to accommodate these tech savvy, creative and self-directed workers. betahaus Barcelona is a social space, both physical and virtual, designed for the development of independent creative professionals and entrepreneurs with an open mind. OneCoWork values innovation, collaboration and creativity. Workspaces are designed to inspire and foster a sense of community, bringing together young talents, freelancers, startups, SMEs and large corporates. Regular lectures and workshops allow members to expand their horizons. A second location in Plaça Catalunya has been opened in June 2018. La Vaca is a former dairy turned into a creative and relaxed coworking in the heart of Poble Sec. Here you can get some serious work done and grow your network within an incredible community. In addition to all basic coworking amenities (printer, comfy chairs, meeting rooms, etc) at la Vaca you can also go for a run with the Midnight Runners or join the stretching class given on Wednesdays. Every month they organise great events such as the “Jueves Paella”, Networking nights and artistic Afterworks! In other words at la Vaca you feel like at home, enjoy a bright spacious space with plenty of workstations and chill areas adapting to any working style. Last but not least they have playstation and Pool Table in the basement, they love dogs and offer the best Italian Coffee in town! Since the opening of its first coworking space 6 years ago, MOB//Makers Of Barcelona has been building communities to innovate together. Now joined by MOB&PAU, FabCafe, Future Funded, or KUBE, MOB gathers a community of more than 300 entrepreneurs, creative souls and techies – offering you the best work environment & connections opportunities. After 8 years in Barcelona, Noumena team have finally inaugurated a new space hosting 3d printers, robots, textiles and creative minds! Noumena opens BASE, a new multidisciplinary coworking space for young talents and entrepreneurs. By offering a range of smart packages which adjust to your needs, BASE is located in the center of Barcelona, in a strategic area of Gran Via surrounded by nice restaurants, shops and close to metro-bus stops. BASE is a space to connect, opening up the possibility for you to work and take part to workshops and events or organize yours. Also, at BASE you can create, being the first Wasp Hub Bcn: a dynamic 3d printing hub in partnership with WASP where coworkers, researchers and designers can learn and prototype with 3d printers of any size. Coco Place is a coworking space located in the attractive Gràcia neighbourhood next to Lesseps and 5 minutes away from Joanic square and Fontana metro station. A very well connected area by public transport and bicing. Coco place is a space for cooperation and talent, where people from any discipline can work. Members of Coco Place include start-ups, freelancers and artists. The coworking space is equipped with meeting rooms, smart TV, powerful Wi-Fi connection, high-quality printer, etc. Enjoy the leisure area, a great space to relax on the sofa or read a magazine, chat with a partner or drink coffee. Our fully equipped kitchen will make your life in the office easier. Increase your productivity and work in a professional and pleasant environment. Get to know us! Espacio MERAKI was created by Anna and Adrian, two young people tired of the conventional office model. They decided to create a workspace that empowers you to do whatever it is that you are passionate about. Their goal is to create a pleasant space where people feel free to work, create, share and give birth to links and professional synergies. Espacio Meraki has open spaces, high ceilings, plants, white (a lot of white) and areas to both work and relax. Cahoot Coworking was opened in August 2018, and is a coworking space for people in tech and creative industries. The space is in a former industrial building, located centrally in the nieghbourhood of Sant Antoni, and has been converted with the help of architect Oriol Hostench. The space features fixed office spaces, flexible hot desks, meeting rooms and private offices. Zamness is a workspace in Barcelona, situated in the heart of the [email protected] district in Poblenou. The surrounding area features old industrial buildings built in the 70’s, and now the space has been totally renovated and converted into a modern office of 300 sq m divided into different areas, with 26 work-stations, meeting rooms and a contemporary office bar. It is a comfortable place for small companies or independent professionals. Depot Lab is a new coworking space in Barcelona for creative, innovative and openminded entrepreneurs and companies. It is a 2nd home for already a lot of (inter-)national companies where they can establish, grow, collaborate, learn and network. Talent Garden Barcelona, opened in March of 2015, is a coworking space for talented individuals in the digital, tech and creative industry. TAG Barcelona is the first campus in Spain and part of an international network of multiple campuses across Europe and the United States. Coworkidea is a creative coworking strategically located in the heart of Barcelona, very close to Plaça Universitat, MACBA and CCCB. The space is divided in two shared areas: an architecture hub and a digital professionals hub. However, the Cowork is open to everyone who wants to be part of an easy-going community. Wide spaces, plenty of natural light, events, workshops, meeting rooms and a chillout area to rest and share ideas with the coworkers, are some of the amenities you’ll find there. The Aticco community lives in an amazing 1000 m2 penthouse in the center of Barcelona with amazing views of the city and tons of sunlight. It features a 300 m2 terrace to lounge, work or even contribute to our vegetable garden. Aticco offers 2 meeting rooms, a huge kitchen, a chillout area, a shower room, private offices and coworking tables. Coco Coffice Coworking Café was created to provide nomad workers, freelancers and students a flexible, well equipped coworking destination. Amenities include hot desks, a meeting room, projector, reception, air conditioning and great WIFI. Coworkers can use the space on a monthly, weekly, daily or even hourly basis. A free buffet of coffee, tea, cookies, fruits and snacks is provided. El Despacho is a boutique co-working space located right next to Plaza Lesseps providing a friendly environment and all services needed for your comfort. With a competitive price and multi-sector community this coworking space serves to help you grow your business. Bcombinator is a coworking space in the [email protected] district of Poblenou, just 300m from the beach. An all-in-one business place for entrepreneurs that combines programs for lean startup creation, incubation and acceleration. Startups and professionals from Barcelona will find all the basic services included in this workspace, along with access to exclusive learning events, networking and expert mentors. Welance was founded in Berlin in 2010, providing a home to experts, freelancers and startups. 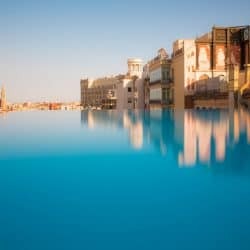 Welance Barcelona opened in May of 2016 and is situated in a beautiful Modernist apartment with high stucco ceilings and original mosaic floors. The 200 square meter space is bright, with comfortable furniture and air conditioning. The apartment is divided into different areas with private rooms for 2-3 people as well as fixed desks and meeting rooms. Felisa CoWork is a welcoming, charming and professional coworking space in the center of Barcelona, where you can boost your productivity by receiving coaching, mentoring and individual skills development plans as part of the services offered. Organic fruit, back massage and a brainstorming breakfast in creative surroundings, among like-minded people are among the attractions of the Eixample based space. ATTA is a new coworking space in the 22 @ district of Poble Nou, a collaborative production and research center that grows and develops together like an ant colony. ATTA has an area for desks in a loft space, workshop spaces and digital manufacturing machines (CNC, Laser Cutters, 3D printers). Events, workshops and meetings take place with the intention of bringing together creative, innovative and visionary professionals, encouraging the development of new companies and ideas. The Crec community lives in a converted warehouse in the Poble-Sec neighborhood of Barcelona, a cozy and open space where your ideas have no limits! CREC offers meeting rooms, a relaxation space, therapy room, an office and also a photostudio. Blitz Gràcia is a coworking space of 220 m2 located in the charming Gràcia neighbourhood that promotes collaboration, synergies and familiar work atmosphere. Impact Hub Barcelona is a vibrant and active community dedicated to sharing, connecting and co-creating projects with social impact. The 800 square meter space overlooks Barcelona’s historic Plaça Reial. 021Espai is a coworking in barcelona space where you can connect with other freelancers, share knowledge and learn from other members. An openspace, without divisions or closed cubicles. TALENT&CO is a community of changemakers, game-changers, pioneers, social artists, and entrepreneurs. By working in the same flexible office space we walk an unknown path together, co-create & collaborate, inspire, expand and grow. In the heart of Raval you can find the Coworking Space named RavalCo. Here creative minds and freelancers alike come together to work, to exchange ideas and to get their projects off the ground. What is special about RavalCo is that it is quiet and peaceful, and not crowded. Eco-friendly co-working space Apocapoc was launched in December of 2013 by three French expatriates. Formerly a grain factory, the space boasts high ceilings, furniture made from reclaimed wood and one of the most fabulous terraces in town. Located in the @22 district of Poble Nou, Valkiria Hub Space features an impressive 1,500 square meter space and focuses on progressive projects with social and economic impact on the community. Erra Space is located in a bright third floor flat in the Urquinaona neighborhood. Erra is seeking to build a multidisciplinary and friendly work environment. 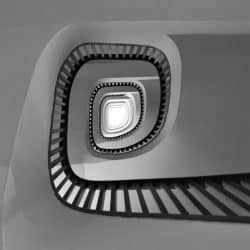 BCNewt embodies the communion between architecture, design and creativity. This coworking space is geared towards entrepreneurs and a young companies. Interaction among professionals from different sectors, knowledge sharing and maintaining an environmentally friendly work place are among its core values. Pipoca is a Coworking space in the heart of Barcelona that offers bespoke office coworking space for all types of businesses and freelancers. The space is specifically designed to be a hub for collaboration and innovation. It actively encourages collaboration between different professionals with the aim of creating a dynamic and creative environment with continued development. Coworking BCN575 is situated in the center of Barcelona in the Eixample neighborhood near Plaça de Catalunya. The office maintains the original modernist details of the building but has also updated its the space to cater to the needs of a 21st century workplace. BCNDOC Business Center in Barcelona, located in Eixample ( Paseo de Gracia / Diagonal) provides cost effective and quality solutions with the emphasis on service. Offices, meeting rooms and coworking for hours, days or months are available. BCNDOC enables you to focus on running your business while presenting a professional image to your clients. 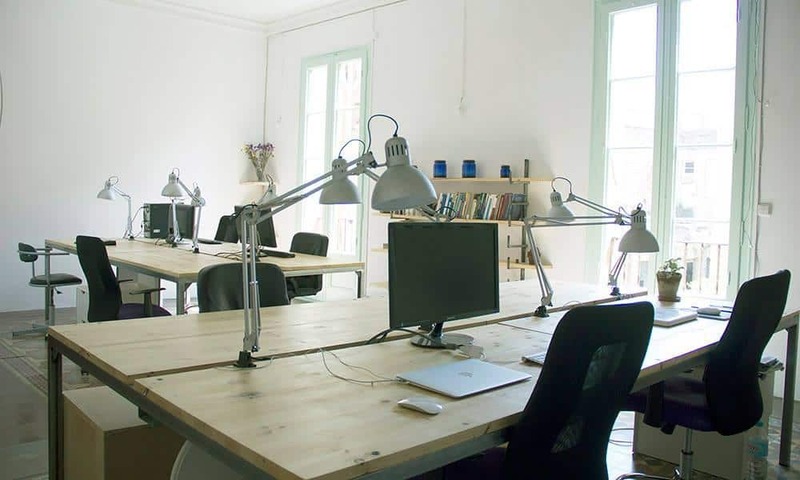 Start2bee coworking has three locations in Gràcia The Escorial location has plenty of natural light and is made up of 3 coworking rooms, 2 conference/training and/or events with a capacity of up to 50 people, meeting point, rest area, zone group videoconferencing and reception. Nidok suggests that you swap your pajamas for your favorite clothes, and have a coffee with company rather than a cafe solo. The coworking space aims to be a place to generate new and interesting synergies , practice networking and make new friends. 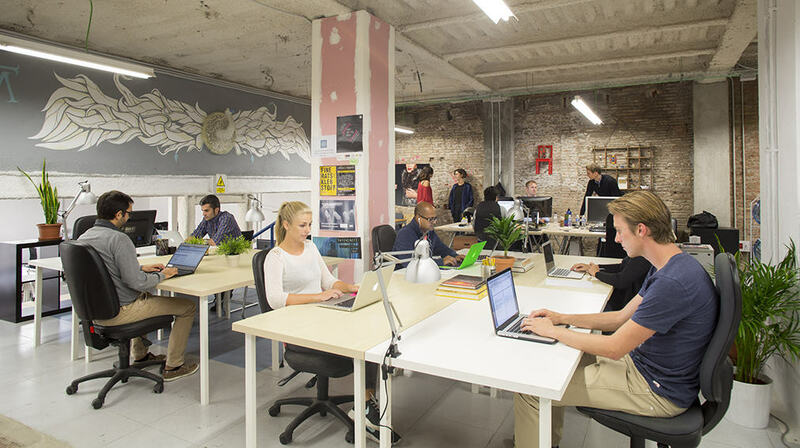 Space&Co Coworking has of 700 m2 of space with 15 tables in shared spaces and 20 private offices. Space&Co also offers a kitchen, meeting room and 24/7 access. Oficina24 is a modern and comfortable coworking space of 800 sq m at low rates in the center of Barcelona. It includes stylish show rooms and offices, a spacious conference hall, elegant meeting rooms, cheap, comfortable and fully equipped workplaces, a workshop space and a classroom for training. Up to 70 people can be accommodated with multiple offices with tables and comfortable sofas as well as a possibility to work laying on the grass. Offices are air conditioned and have ultramodern and reliable security systems. imaginCafé is a space where technology, creativity and music come together to create a universe of concerts, workshops and exhibitions. Situated in an former branch of La Caixa bank, the space is divided across three floors. In the upper part there are free work spaces where the self-employed, entrepreneurs and freelancers can sit. There are also meeting rooms which can be reserved. The project is funded by La Caixa and inspired by their mobile only imaginBank brand. ArteriaBCN is a cultural association, promoting and disseminating emerging art and artists. The 900 square meter space in the center of Barcelona hosts events, exhibitions, productions, coworking and more. Downtown Offices is a Work Hub for female entrepreneurs to connect, share and learn. We provide access to essential services for professional and personal growth. ​ Besides comfortable workspaces (private offices and co-working) we offer an inspirational community of ambitious female entrepreneurs, Business Booth sessions in partnership with IESE and ESADE Business Schools, Peer to Peer Groups, workshops, a mentorship program, and access to (angel) investors. The Work Hub is part of a growing trend to create supportive work communities for female entrepreneurs and the first women-only workhub in Spain. 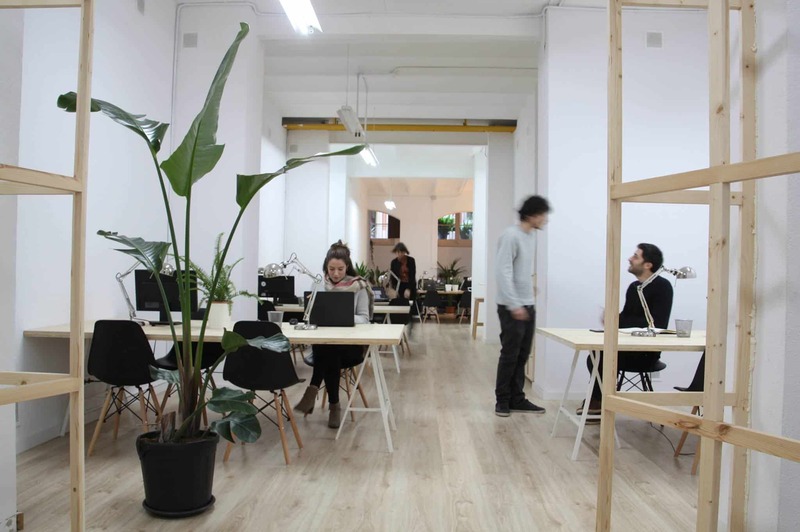 One of a few alternative coworking in El Poblenou – a new blooming area of Barcelona city. Maui is good for creativity, arts, IT and its just 300 meters from the beach. Maui’s space combines working desks, art-gallery, ceramic studio and stand-up pedaling classes and yoga. A shared work space 10 minutes walk from Plaza Espana Metro, desks are €180 per month all inclusive, it is uncrowded as their are total of 10 desks to rent across two rooms, and with two bathrooms, kitchen, a large lounge, an 8 chair meeting table / area, and an outdoor covered lounge / meeting area. Situated in a listed building and with a private square within Poble Espanyol, with discount in local bars and restaurants. 3D Coworking Barcelona is a work space for makers, innovators, entrepreneurs, self employed technologists and small companies. It offers an excellent working space and tools, as well as project mentoring, communication skills development services and other services to help you succeed. 3D Coworking Barcelona is a space created by entrepreneurs, for entrepreneurs with one clear focus: sustainability of the planet, and the society. For these reasons we advocate for the Economy for the Common Good (ECG) approach to business. Address:Poble Espanyol – Av. Francesc Ferrer i Guardia, 13. Local 68. GARDEN coworking offers an inspiring and open space to work with other independent professionals. Along with coworking, GARDEN features courses, events and exhibitions. Pangea Coworking is a cool and creative place. Its sole design encourages human relationships and fosters creativity. Situated in a quiet backstreet near Arc de Triomf, COR23 is both an art gallery and a coworking space founded by Pavel Moreno. A community of digital nomads, location-independent freelancers and entrepreneurs. A place dedicated for work and creation Located in the trendy Born district, close to the Picasso Museum and Santa Maria del Mar. Also, check out Barcelona Coworking Days – a community for freelancers, start-ups & entrepreneurs who want to meet up in different locations around Barcelona regularly to work together socially.